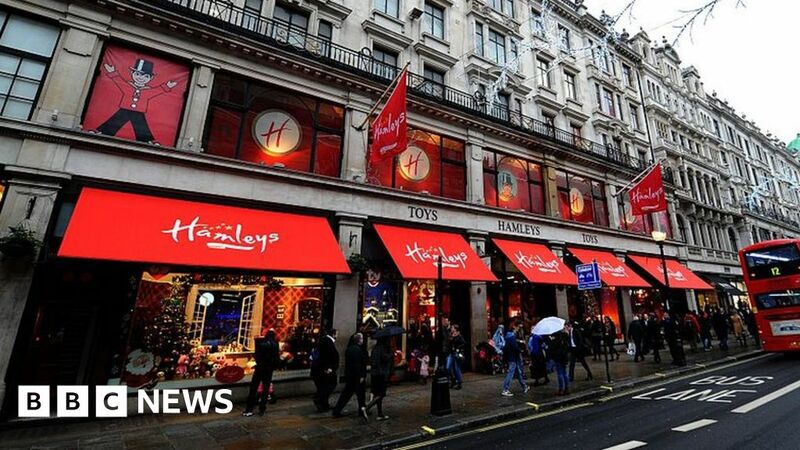 The Chinese owner of Hamleys is in talks to take a stake in House of Fraser, according to a report. Hamleys owner C.banner International has signed a memorandum of understanding with Nanjing Xinjiekou, the Press Association reported. Nanjing Xinjiekou holds an 89% stake in House of Fraser and is part of Sanpower, the Chinese firm that paid £480m for the department store in 2014. An announcement is expected later on Tuesday. Last week, House of Fraser said it had called in KPMG to advise on a restructuring plan, which could involve store closures and job losses. In January, the department store chain asked landlords to cut rents following poor Christmas trading. House of Fraser has 59 stores, 6,000 staff and 11,500 concession staff. C.banner, best known as a footwear retailer, bought Hamleys in October 2015 and first signalled its interest in House of Fraser two years ago. It opened the first Hamleys outlet in China a year later in Nanjing, which were followed by outlets in Xuzhou and Beijing. Representatives of Hamleys and House of Fraser have been contacted for comment.